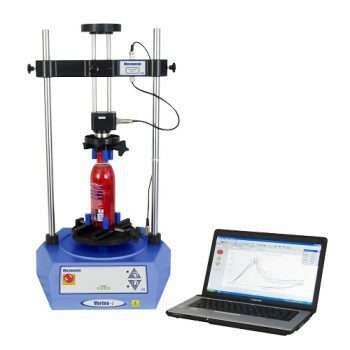 The Vortex-i motorised torque testing system provides constant rotational speed which enables accurate, repeatable, closure torque measurement. Loading at the top allows push and turn CRCs to be tested and the ability to write advanced test programs gives designers the power to optimise functionality. Optimised for measuring static and rotary torque up to 10 N.m, the versatile Vortex-i is ideal for running sophisticated routines for more demanding product and material tests. 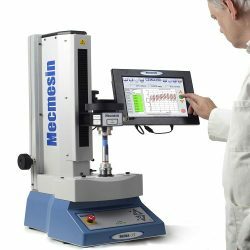 With Mecmesin’s top-of-the-range Vortex-i systems you gain full programmable control and comprehensive evaluation tools for performing a vast array of torque tests. Use Mecmesin’s Vortex-i Torque Tester for unlimited testing and analysis capability. Vortex-i systems are used in conjunction with Mecmesin’s comprehensive range of intelligent torque cells (ITCs), which provide automatic recognition of I.D. and calibration data and are easily interchangeable to suit the load you wish to measure. Six different sensors are available to cover the range from 0.3 N.m up to 10 N.m. 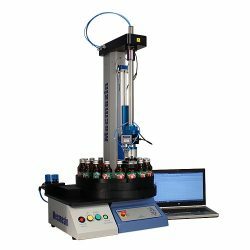 This ensures that you have the optimum selection to meet all your torque testing needs. 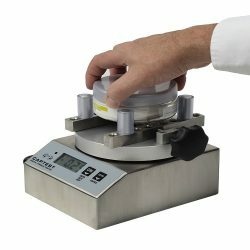 Measurement accuracy is an outstanding ±0.5% of the sensor capacity. The motorised Vortex-i is controlled by software run on a computer. 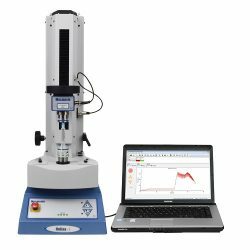 It deliver both consistency and reliability by controlling the key test parameters of torque, angle and speed. This means that the inherent variability found when using a manual torque tester is almost fully removed. Emperor software runs on any Windows computer and controls the motor of the test frame whilst collecting data at an impressive 1,000 Hz from the ITC torque sensor and angle encoder of the frame. By plotting measurement data in real-time on a graph the operator can identify exactly how the test specimen is performing. Preset calculations are used to analyse the data to determine whether the specimen has met the pass/fail criteria of the quality-control specifications. 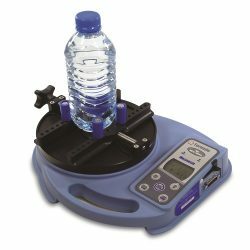 To ensure the repeatability of test results, Mecmesin has designed a range of torque grips to hold your test specimen in place without it slipping. They include chucks and mandrels to hold plastic and metal closures, fixing tables to secure bottles and containers plus many more. 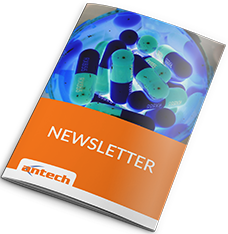 “The Vortex-i system has enabled us to eliminate the variability of results experienced with our previous manually-operated testing systems, allowing accurate and consistent testing of the conformance of our drug delivery systems to our stringent in-house standards”.